What a treat to see these simultaneously authentic and audacious productions of two such disparate Shakespeare plays back to back in repertory! 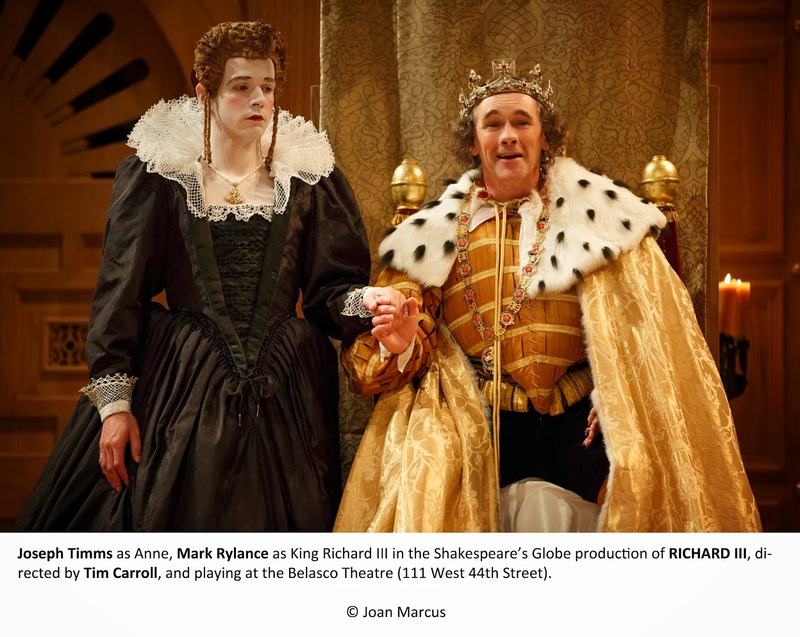 The initial draw for both productions is the presence of the Globe’s first artistic director, Mark Rylance, whose astonishing Broadway performances in “Boeing Boeing,” “La Bete,” and “Jerusalem” in recent seasons sent critics looking for superlatives. In truth, his Richard takes some getting used to. 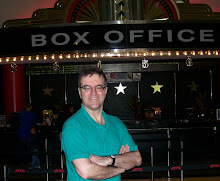 Rylance is not the first actor to mine the humor in the role; Olivier had sly fun with it in the famous film. But the goofy laughter with which Rylance peppers his performance at first seems a bid for cheap laughs. And the audience is all too willing to laugh along. But as Richard’s heinous crimes multiply, and we see his bipolar mood swings, the laughter can soon be seen as symptomatic of a dangerous and deadly psychosis. Unorthodox as the interpretation is, ultimately it's as riveting a Richard as those of Olivier, Antony Sher, Ian McKellan, and all the other great Richards of memory. The wooing of the widowed Lay Anne (whose husband Richard has recently dispatched) plays as strongly as ever. And Joseph Timms makes as touching a figure as Claire Bloom or any of the other past female interpreters. 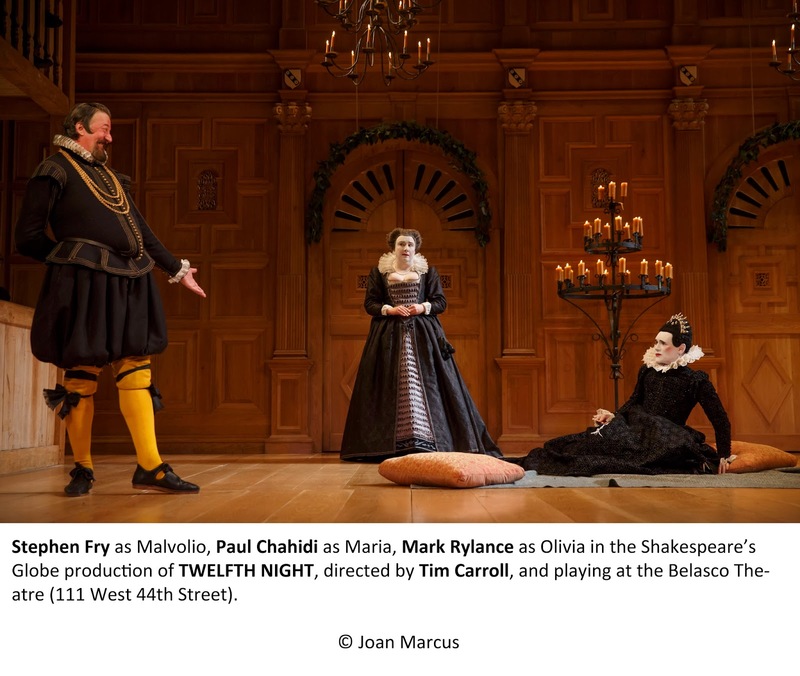 There are no reservations whatsoever about “Twelfth Night,” which delights from start to finish. Samuel Barnett, who essays the tragic Queen Elizabeth in “Richard III,” is the pale-faced Viola here, and Timms now plays her Doppelganger brother Sebastian. The members of Olivia’s household are magnificently embodied by Angus Wright (Sir Andrew Aguecheek), Colin Hurley (Sir Toby Belch), Jethro Skinner (Fabian), Paul Chahidi (Maria), and Peter Hamilton Dyer as Feste, the fool, whose a capella rendering of the Shakespeare songs is quite beautiful. It’s particularly enjoyable to see Wright as Olivia’s effete suitor, after his dynamic Buckingham in Richard III, and Chahidi as such a splendidly real gentlewoman after his outing as the hapless Hastings in the other. And so it goes with all the other doubling cast members. The great Stephen Fry has no part in Richard III, but makes an altogether splendid steward Malvolio, appropriately dour in the first half, and hilariously deluded and then pathetic in the second. Rylance’s Olivia – hopelessly smitten by young Viola in the guise of Cesario who’s pressing Count Orsino’s suit – is a gem of a characterization. Buttoned up and austere in black mourning weeds and stiff collar, but increasingly unhinged as she loses her heart to the woman she takes for a handsome young man, traversing the stage in rapid baby steps, and falling into hilarious faints at key moments, he yet creates a most touching character for all the humor. Both plays are accompanied by a fine ensemble of seven musicians playing a variety of period instruments, and designer Jenny Tiramani has fashioned costumes that are authentic to Shakespeare’s period down to the smallest detail. 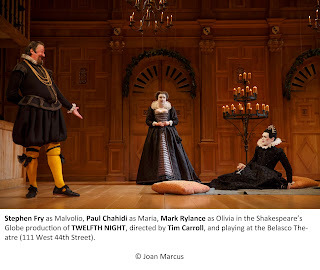 Director Tim Carroll has the assured measure of both these works which, I have little doubt, will stand as benchmarks for Shakespeare in New York for some time to come.